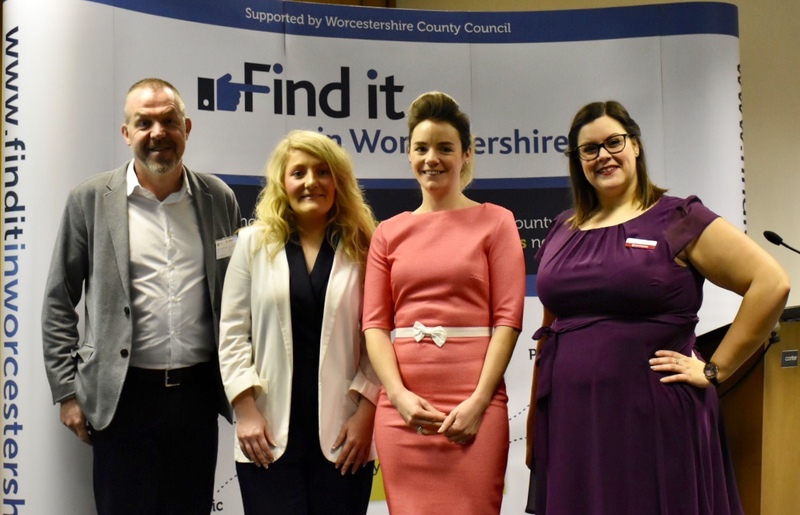 Over 70 local businesses from across the county attended the latest breakfast event from Worcestershire County Council and FinditinWorcestershire. Titled Next Generation Technology Opportunities, it took place at Sixways on Tuesday 22 January 2019. The event, mainly for businesses in the technology sector, attracted companies interested in finding out about the opportunities that will come from 5G capability. Its aim was to help inspire businesses to develop and deliver new services as well as how local business is tackling Industry 4.0, the current trend of automation and data exchange in manufacturing technologies. Keynote speakers from QintetiQ and Worcester Bosch highlighted the importance of cyber security and the advancements of the Worcestershire 5G Testbed Consortium. Malvern-based, QinetiQ, which has 35 sites across the UK and employees over 750 in Worcestershire alone, explained how it is working closely with businesses to leverage its world-class expertise to enable them to understand the huge benefits that will come from 5G. Andrew Bentley, Technical Engineering Manager at Worcester Bosch went on to talk about the rapid development of the connection of people and things and how Bosch’s internet of things will play a key role industry. “Sensors, software, services and now Cloud will enable new business models in industry” said Andrew Bentley. The Crown Commercial Service attended to explore new ways of working and delivering frameworks in technology and to talk to attendees about how it can work with more small businesses across the county. Fidelma Griffin and Gemma Baldwin gave tips on winning business in the public sector and detailed what commercial agreement opportunities were coming up with the Government body. They illustrated that the ‘Technology Products 3’ contract is currently in the development stage and is planned to be released at the end of February 2019. Various local businesses exhibited at the event including Betaden, Worcestershire’s first dedicated tech accelerator and Clearview Systems. The Be Cyber Secure Programme, funded by European Regional Development Fund, was on hand to give information about its funding available for SME’s to either improve their cyber security or to grow an existing cyber sector business. Local SME’s can apply to the Be Cyber Secure Grant Fund, a Capital and Revenue based grant scheme, for match funded grants of up to £20,000. For more information please contact Wendy Garrad on 01905 844595 or email wgarrad@worcestershire.gov.uk. For more information about the Crown Commercial Services ‘Technology Products 3’ contract please email technologyproducts@crowncommercial.gov.uk.